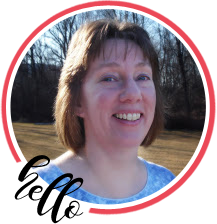 Welcome to the RRR September Blog Hop. 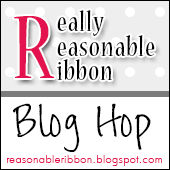 This month the Really Reasonable Ribbon Monthly Ribbon Club Assortment celebrates Halloween! I have a couple of projects for you this month. I love Halloween colors and prints. My card uses little snippets of just about all the ribbons in the September Ribbon Club assortment. This is a great technique for ribbon scraps and also keeps the card nice and flat for mailing. My images are from Floozieville on Etsy. Such fun digi images and the price is sooo low. My beautiful double-layer bow was made with my Bow-it-All Tool. And now for my ‘headbands of the month’. This just shows you that you should not rule out printed ribbons. These came out great! You can find a video tutoial for the Chevron Woven Ribbon Headband HERE. You can find the video tutorial for the Basic Woven Ribbon Headband Tutorial HERE. Awesome projects! Love that fun card with the witch's legs… so cute! Great way to use the ribbon scraps too with your little flags on the side to embellish the card!